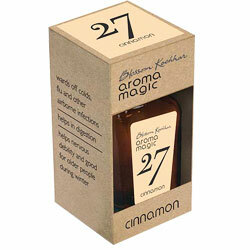 Aromamagic Cinnamon Oil Wards Off Cold, Flu & Other Airborne Infections, Nervous Debality & Good For Older People. Flu and other airborne Infections. Wards Off Cold, Flu and other airborne Infections. Helps nervous debality and good for older people during winter.